Bizarre, this world of intrawebs. Teh images, they flow like candy in the rain. 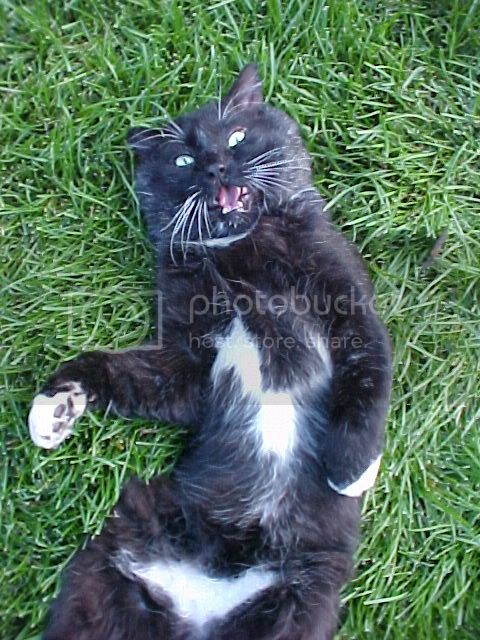 First, we start with the collection of massive: http://pics.livejournal.com/ruthanolis/gallery/0000fdrc & http://www.acc.umu.se/~zqad/cats/ . 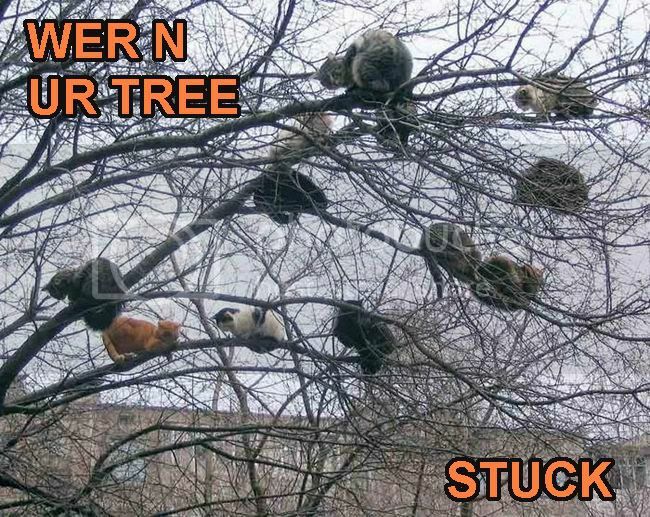 In no particular order, we have WER IN UR TREE .. STUCK. Obviously they haven't met LASERMEWMEWPEWPEW. On the other hand, maybe it's good they haven't, or we end up with DED CAT1 and DED CAT2 both of whom, I believe, 'require a res plz.' Which, as we all know, is BAD. What's Your 1996 Theme Song? dude, the kitty scares me! !